A group of crystallographers from South East Asia attended a post lUCr Congress workshop at the University of Western Australia last month. Syd Hall, Allan White and Brian Skelton of Chemistry conducted the workshop, which provided a refresher course on all stages of structural chemistry and crystallographic analysis. The workshop was financed by a number of donor agencies through the Asian Coordinating Group for Chemistry operating under the auspices of UNESCO. Each participant collected data on several structures and carried out all of the necessary structure analysis calculations. During the course of the workshop 21 structures were solved and refined. 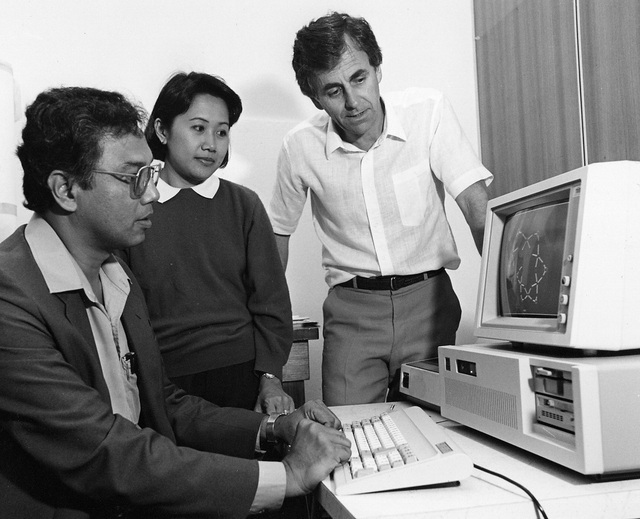 Some of the analyses were done using the XTAL System installed on an IBM PC - Definicon co-processor. 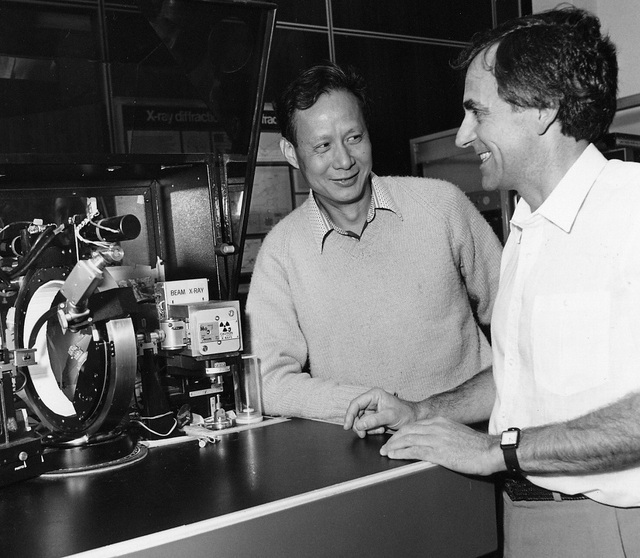 This combination provides a low-cost computing facility appropriate for many of the crystallography groups in the region. from Newsletter of the Asian Crystallographic Association Volume 1 No. 1, January 1988 . 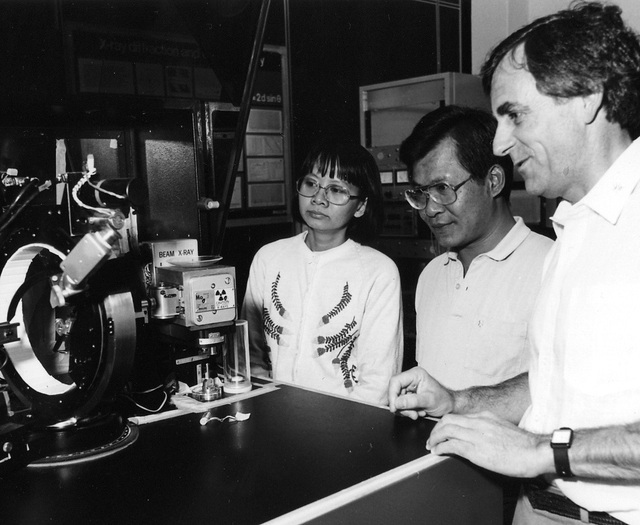 Abdul Hamid Othman, Wyona Patalinghug and Syd Hall at the 1987 Crystallography in Asia Workshop in Perth following the 1987 IUCr Congress. 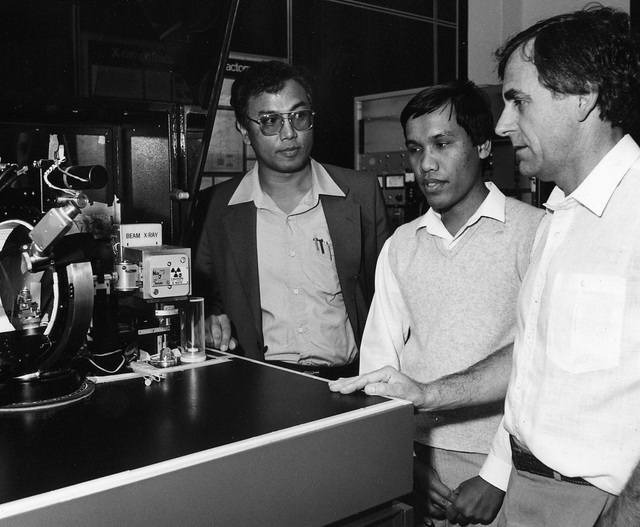 Abdul Hamid Othman, ?, Syd Hall. 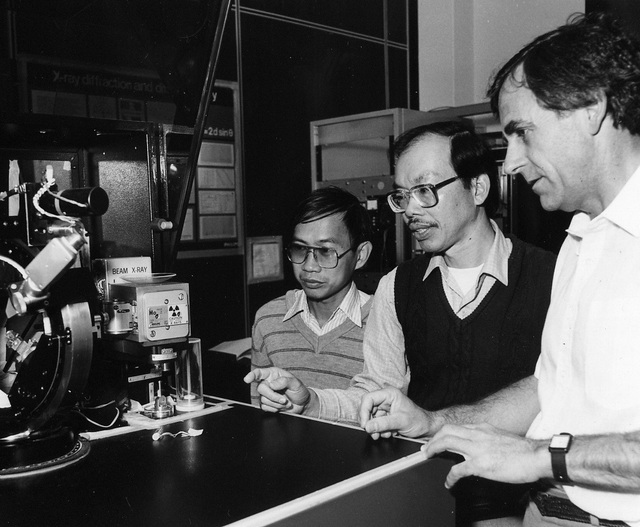 Chaveng Pakawatchai, Phathana Phavanantha, Syd Hall. Amcharee Tooptakong, Narongsak Chaichit, Syd Hall. 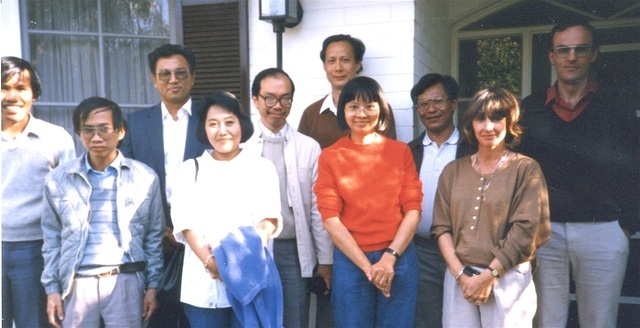 Outside the house of Syd Hall: ?, Chaveng Pakawatchai, Abdul Hamid Othman, Wyona Patalinghug, Phathana Phavanantha, Jia-Xing Yao, Amcharee Tooptakong, Narongsak Chaichit, Pat Hall, Brian Skelton. 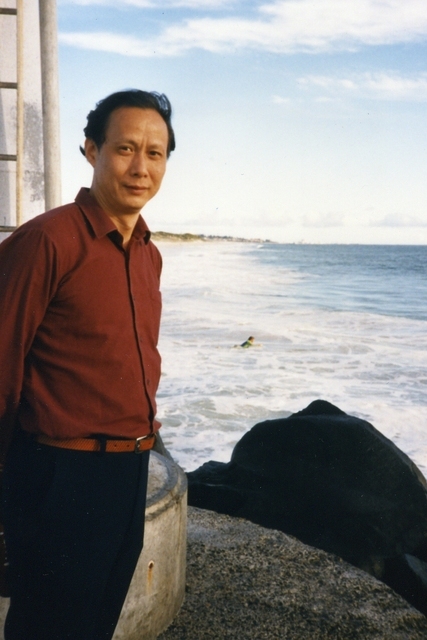 Jia-Xing Yao on Cottesloe Beach in Perth for the 1987 IUCr congress.